That’s what I wrote two years ago when I reviewed Batman: Arkham Asylum, a game that people expected little from prior to release and then were subsequently blown away by its quality. 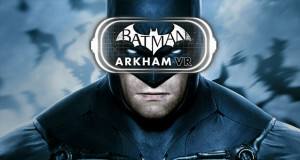 Now its 2011 and Rocksteady have unsurprisingly released a sequel to the hugely popular title that put them in the spotlight. Is two years enough time to create a worthy successor? And how have the studio responded to the heightened sense of expectation? In Batman: Arkham City, Gotham City has been turned into a police state by Mayor Quincy Sharp who successful rose to power after claiming credit for stopping Joker’s takeover of Arkham Asylum in the previous game. Sharp transforms Gotham’s slums into a gigantic open air prison which he populates with…well, just about everyone in the Batman universe. There are an assortment of super villains, criminal masterminds, criminally insane, petty criminals, a giant shark and political prisoners who are mostly regular folk that made the mistake of talking ill of Sharp. Rocksteady have wisely kept the core control mechanics from Arkham Asylum. They work just as well in Arkham City as they did in the original. There are always options for the player to choose from when tackling a room full of hired goons – whether to soar in with fists flying or to silently take them out one by one. Which option you’ll choose tend to be affected by the number or armed opponents are in the room (a hail of bullets can make short work of the Caped Crusader) and what space the environment allows. And the manner in which you incapacitate your foes increases exponentially over the course of the game as Batman adds to his collection of goodies on his utility belt and learns new combat maneuvers. The most significant change to the sequel by far is a shift away from the Metroidvania environmental design of the original which saw Batman spend the entire game on an isolated island to a far more expansive sequel in which Batman spends a lot more time outdoors and there is a whole crime infested prison-city to explore. It’s not the entirety of Gotham City which some people may have hoped for but by restricting the game environment to Arkham City, Rocksteady have ensured that the world is densely packed with things to do. There are gangs to fight, puzzles to solve and secrets to uncover in just about every nook and cranny. There is very little wasted space and window dressing. Rocksteady have pretty much got everything right with this sequel. 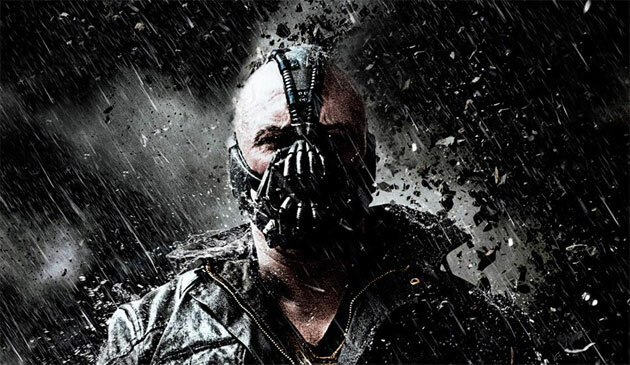 The main storyline is a twisting tale that involves a range of Batman’s biggest and most popular arch-enemies including The Joker, Hugo Strange and some others that I won’t spoil. This storyline takes about ten hours to finish but it is bolstered by the presence of some entertaining sidequests which have some considerable effort put into them to make them interesting as well as a range of collectables in the form of Riddler’s question marks which are scattered around the environment. Like the best sandbox games, there is always a vast range of stories and tasks to choose from. If that wasn’t enough, Batman: Arkham City also includes some playable chapters as Catwoman as well as some additional gameplay challenges where you can play as Robin and Nightwing. They really have gone to town to pack this game full of things to do. A stand out from the first game was some of the creative design choices that Rocksteady made with the boss battles. In particular, most people will remember the hallucigenic showdown with Scarecrow. 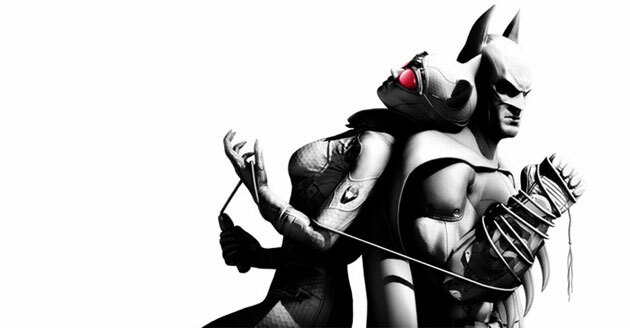 With Arkham City, that high standard remains. The highlights this time around must surely be the battle with Mr Freeze who learns from your attacks and therefore must be struck down a different way with each blow and for the sense of spectacle, its hard to go past the fights with Mad Hatter and Ra’s al Ghul. If there’s anything that leaves the player wanting, its things that exist in the Batman universe that Rocksteady haven’t tackled yet. In two games, we haven’t seen anything to do with Wayne Manor, the Batcave or his assortment of vehicles. It’ll be interesting to see whether Rocksteady consider adding these elements in future instalments. It’s possible however that Rocksteady won’t ever attempt to have sections of the game where players take on the role of Bruce Wayne. During this time of year where so many high profile games are released at once, its interesting to see a few reviews of Uncharted 3 knocking that game down a peg for being too cinematic, scripted and not interactive enough. With the Arkham franchise, Rocksteady have made a game where interactivity and playability are king. The cutscenes in this game are kept short and sweet and there is an emphasis on never taking control away from the player for too long and ensuring that they have the full freedom to do what they want. A game that more prominently featured Bruce Wayne would probably have to sacrifice some of that immediacy which I don’t think Rocksteady would be willing to do. At this stage I’m torn on what I want next. Rocksteady clearly make a mean Batman game and I would be thrilled if they announced a third instalment to the Arkham series. However part of me wonders what else they could be capable of if they left the franchise and did something completely different. Summary : A fantastic sequel that expands upon the scope of Arkham Asylum and expands upon the gameplay with new gadgets, gimmicks and improved combat. There's still another step further that could conceivably be taken in expanding the scale of the game. 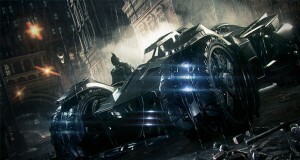 Gotham City, access to a Batmobile and going all in on an open world game. Can Rocksteady do it?